Conference Series LLC Ltd is one among the major open access platforms which organizes a series of 3000+ International Events with 800+ international conferences every year across USA, Europe, & Asia. With a great support from 1000+Scientific societies, world renowned scientist, Noble Laureates, scholars and students, we have reached 25 million professionals and corporate entities all over the globe. With a great pleasure we proudly present “2nd World Congress on Psychiatry and Psychological Syndromes” during November 11-12, 2019 at Madrid Spain. 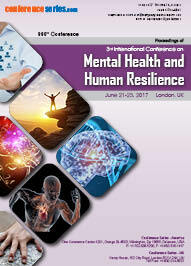 Conference mainly focus on Psychiatry, Psychological syndromes and therapies with the theme “Towards better Psychiatric Health". 2nd World Congress on Psychiatry and Psychological Syndromes is an annual meeting of renowned Psychiatrists as well as Psychological committees. 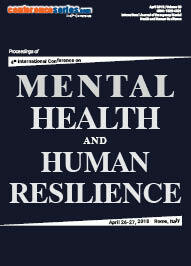 This conference is primarily focused to discuss the future of the Psychiatry, Psychological Syndromes, advancements, therapy and issues we are facing in the field of Psychiatry with mutual collaborations and organizational development. Our aim is to make 2nd World Congress on Psychiatry and Psychological Syndromes a great success with world class talks & discussions by top Psychiatrists as well as Psychological committees. 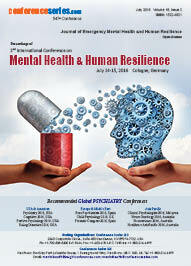 With a great support from distinguished academicians in the field of Psychology and Psychiatry, Public Health professionals, Mental Health Professionals, NGO Workers, scientists, academic scientists, industry researchers, Psychiatry researchers, we are featuring many exciting academic programs including multiple panels, workshops, affinity group lunches, paper presentations, and scientific sessions by reputed psychiatrists from all over the world which makes our conference the best of other psychiatry conferences. We warmly welcome your presence among other eminent speakers..!!! Mental health or Psychiatric nursing is the specialty of nursing that cares for people of all ages with mental illness or mental distress, such as bipolar disorder, psychosis, schizophrenia, depression or dementia. Becoming a mental health nurse can be very gratifying, but it can be a stressful and emotionally draining job as well. As well as one can work full-time, part-time or casually in this field. Registered nurses can work in the mental health field. 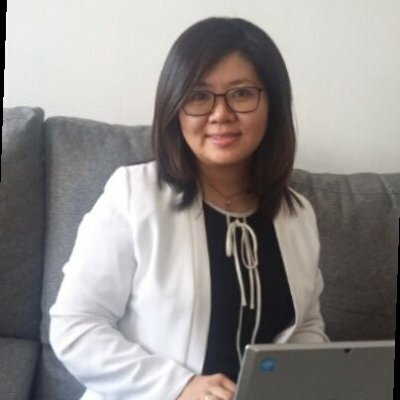 They can increase their certifications by undertaking further study in this field either by a graduate diploma or master’s degree or applying to become a credentialed mental health nurse. Addiction is a physical or psychological need to do, take or use something, to the point where it could be harmful. workaholics are obsessed with their work to the extent that they suffer physical exhaustion. Addiction is a disease that affects your brain and behavior. When you’re addicted to drugs, you can’t resist the urge to use them, no matter how much harm the drugs may cause. When one use drugs for a long time, it can cause changes in other brain chemical systems and circuits as well. Which further effects: Judgment, Decision making, Memory, Ability to learn. Wellbeing is defined as a proactive and positive approach to living that increases resiliency to stress by promoting life balance and contentment. It concerns about maintaining an overall quality of life and the pursuit of mental, optimal emotional and physical health. Focusing on health and wellness is particularly important for people with, or at risk for, behavioral health conditions. People with mental or substance use disorders typically die years earlier than the general population. The way you think has a big impact on your mental health. Changes in your thoughts often go along with changes in your mental health. Mental health is determined by our overall patterns of thoughts, emotions, behaviors and body reactions. Having a good mental health is likely to help protect against development of many such problems. Self-harm is also commonly known as Self-injurious Behaviour (SIB), self-mutilation, Non-Suicidal Self-Injury (NSSI), parasuicide, deliberate self-harm (DSH), self-abuse, and self-inflicted violence. As one would expect, having multiple terms for self-harm creates misunderstanding and confusion both in academic research and in clinical settings. Self-harm and suicide attempts can also seem very similar. Sometimes this can result in incorrect treatment assessments. Some researchers classify all forms of self-injury on a suicidal continuum (preceding suicidal ideation), regardless of the victim’s intent. Others emphasize the marked differences between self-harm and attempted suicide and believe they should be separate areas. Psychosis is the term used to describe the state of mind in which the individual experiences a distortion or loss of contact with reality. It is caused due to a genetic disorder. This mental state is characterized by the presence of hallucinations, delusions and/or thought disorder. It affects 3 out of every 100 people. People experiencing psychosis may exhibit personality changes and thought disorder. Psychosis can also be stimulated by traumatic experiences, stress or physical conditions such as Parkinson’s disease, brain tumor or as a result of drug misuse, alcohol misuse. It is most likely to be diagnosed in young adults and in any sort of persons. Different types of psychosis include drug or alcohol related psychosis, organic psychosis, brief reactive psychosis and psychotic disorders. It is diagnosed through a psychiatric evaluation. Treatment consists of Rapid Tranquilization, Drugs and medication, therapies. The concept of the session consists of attempts made to recovery, etiology and examination. It is the psychological condition of someone who is functioning at a satisfactory level of emotional and behavioral adjustment. Greater than 200 categorized forms of mental illness conditions are present. Mental health includes an individual’s potential to enjoy life and create a balance between normal life activities and efforts to achieve psychological resilience. It is important at every stage of life, beginning with childhood and adolescence through adulthood. Half of the mental health conditions begin by age 14 and the remaining conditions develop by age 24. Prevention of mental disorder at the young age may significantly decrease the risk that a child will suffer from it in the later life. There are many causes to get mental disorders. Individual’s genes and family history may play a crucial role and your life experiences such as stress or history of abuse may also matter. Biological factors can also be a part of the cause. Traumatic brain injury can lead to a mental disorder. A mother’s exposure to viruses or toxic chemicals while pregnant may play a part in getting mental disorder. Other factors may increase the chance of risk such as use of illegal drugs or having a serious medical condition like cancer. Medications and counseling can help to cure many mental disorders. Different kinds of mental disorders like Anxiety disorders, Depression, Mood disorders, Personality disorders, Psychotic disorders, Obsessive-compulsive disorder, Post-traumatic stress disorder, substance abuse. Great psychological well-being is a basic piece of a woman’s general prosperity. Some mental health conditions happen more every now and again in women and can expect an essential part in the state of a woman’s general prosperity. 29 million American women, or around 23 percent of the female masses, have experienced diagnosable mental prosperity associated turmoil in the latest year alone. Similar amounts of women and men experience enthusiastic health issues all around, yet a couple of issues are more fundamental in women than men, and the different way. Diverse social components put women at more genuine peril of poor enthusiastic health than men. In any case, women’s status to talk about their feelings and their strong casual associations can secure their mental prosperity. Rehabilitation includes all the different ways in which someone with a mental illness can get help to minimize the effects of the illness. Many people detected with mental illness achieve strength and recovery through participating in individual or group treatment. Many kinds of treatment options are available. There is no treatment that works for every individual. They can choose either single treatment or combination of treatments that works best. The different treatments include Medication, Complementary, Psychotherapy, Case management, Alternative Medicine and many more. Innovations in the range of evidence-based medications, therapies and psycho-social services such as psychiatric rehabilitation, housing, employment and peer supports have made well-being and recovery a reality for people living with mental health conditions. Mental health case reports include the various studies carried out by observing & considering the causes of mental illness and mental disorders. It includes Interventional studies for mental health, Observational studies for mental health, Cross-sectional studies, Descriptive studies and the Analytical studies. In mental health, case reports may focus on the journey of consumer’s or life trajectory, providing the clinician with an opportunity to reflect and strengthen their practice. Sharing case reports, stories of hope, resilience, and struggle can provide a template of recovery that is within reach of all consumers. Medications are used to cure the symptoms of mental disorders such as schizophrenia, attention deficit-hyperactivity disorder (ADHD), depression, bipolar disorder (sometimes called manic-depressive illness), and anxiety disorders. Sometimes medications are used with other combinations such as psychotherapy. Psychotherapy alone may be the best treatment for a person, depending on the illness and its severity. Psychiatric medications treat the symptoms of mental disorders. Sometimes called psychotropic or psycho-therapeutic medications, they have changed the lives of people with mental disorders for the better. There are different types of medication such as Antidepressants, Anti-anxiety, Herbal medicine, Anti-psychotic, Mood stabilizers, and many others. Stress is the term used to describe the state of mind in which the individual experiences a distortion or loss of contact with reality. It is caused due to a genetic disorder. This mental state is characterized by the presence of hallucinations, delusions and/or thought disorder. It affects 3 out of every 100 people. People experiencing psychosis may exhibit personality changes and thought disorder. Psychosis can also be stimulated by traumatic experiences, stress or physical conditions such as Parkinson’s disease, brain tumor or as a result of drug misuse, alcohol misuse. It is most likely to be diagnosed in young adults and in any sort of persons. Different types of psychosis include drug or alcohol related psychosis, organic psychosis, brief reactive psychosis and psychotic disorders. It is diagnosed through a psychiatric evaluation. Treatment consists of Rapid Tranquilization, Drugs and medication, therapies. The concept of the session consists of attempts made to recovery, etiology and examination. Track 14: Drug Addiction: Is A Psychological syndrome? Innovations in the range of evidence-based medications, therapy and psycho-social services such as psychiatric rehabilitation, employment, housing and peer supports have made wellness and recovery a reality for people living with mental health conditions. Research showed that in the lifetime half of the cases with mental illness begin by age 14. Treatment options for mental health conditions will vary from person to person. Even people with the same diagnosis will have different kinds of experiences, needs, goals and objectives for treatment. For example, therapy can take many forms, from learning relaxation skills to intensively reworking your thinking patterns. Psychiatrists and psychologists use specially designed assessment tools to evaluate a person for a mental illness. Millions of Americans are surviving with many types of mental health problems such as social anxiety, obsessive compulsive disorder, drug addiction and personality disorders. Treatment recourse includes medication and psychotherapy. A psychologist is trained in a way to evaluate and diagnose mental illnesses but usually treats them by counseling or behavioral therapy. Different therapies like Psychotherapy, Activity therapy, Alternative therapy and Expressive therapy are discussed in the session. According to WHO, Psychiatry is defined as a state of well-being in which every individual realizes his or her own potential and can cope with the normal stresses of life, work productively and fruitfully, and are able to contribute to his or her community. Psychological Syndrome is the health condition that is characterized by alterations in thinking, mood, and behavior that is associated with distress or impaired functioning. Mental disorders contribute to problems that may include disability, pain, or death. Globally, depression affects about 400 million, dementia affects about 35 million, while Schizophrenia which affects about 21 million people. Unipolar (also known as Major) depressive disorder is the third leading cause of disability worldwide, of any condition mental or physical, accounting for 65.5 million years lost. Overall list, responsible for 23.7 million DALYs globally, while other drug-use disorders accounted for 8.4 million. Schizophrenia causes a total loss of 16.8 million DALY, and bipolar disorder 14.4 million. Panic disorder leads to 7 million years lost, obsessive-compulsive disorder 5.1, primary insomnia 3.6, and post-traumatic stress disorder 3.5 million daily. Over one’s entire lifetime, the average American has a 47.4 percent chance of having any kind of mental health disorder. It has been reported that, in Germany, depression is ten times more frequent. 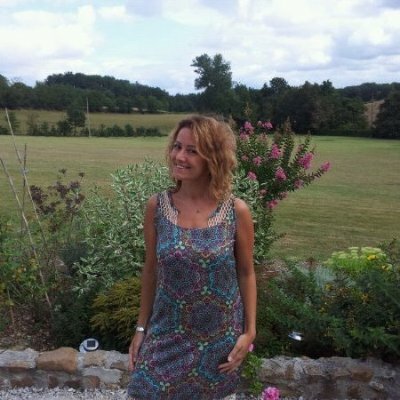 Are you from Psychiatry background? Grab opportunity at Psychiatry Congress 2019 | Madrid, Spain | November 11-12, 2019. Drug Addiction: Is A Psychological syndrome? Madrid, Spain's central capital, is a city of elegant boulevards and expansive, manicured parks such as the Buen Retiro. It’s renowned for its rich repositories of European art, including the Prado Museum’s works by Goya, Velazquez and other Spanish masters. The heart of old Hapsburg Madrid is the portico-lined Plaza Mayor, and nearby is the baroque Royal Palace and Armory, displaying historic weaponry. Fortunately, Madrid’s most popular destinations are centrally located. The heart of the city is Puerta del Sol, a large plaza serving as the scene of festivals, important gatherings and street performers as well as a hub for the public transportation network. Another important square is Plaza Mayor, known for its many souvenir shops, cafes and the lively San Miguel Market. Visitors won’t want to pass up the opportunity to see these top sights. Apart from the tourist’s attractions it is also a sustainable place for Psychiatrists. Psychiatry Congress 2019 will provide an opportunity for all stakeholders working on Psychiatry and Psychological syndromes to talk about their work. It will congregate renowned speakers, principal investigators, experts, neurologist’s and psychiatric researchers from both academia and health care industry will join to discuss their views and research. 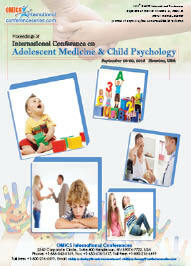 The conference will be comprised of sessions by world class experts in the field of psychiatry, nursing, psychology. 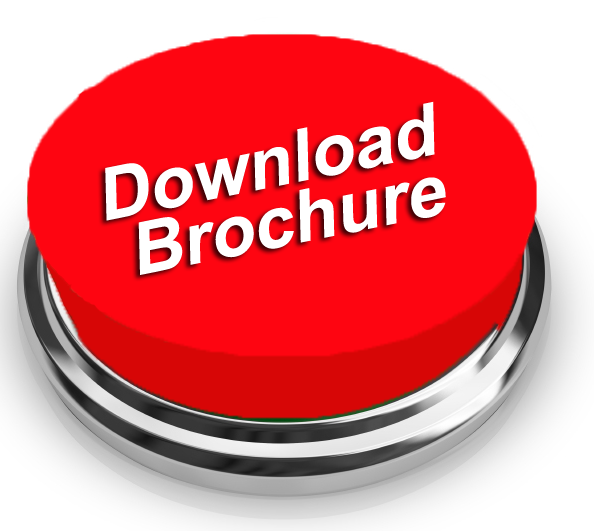 In Psychiatry Congress 2019, international symposiums, B2B meetings, international workshops will also be organized to discuss the specific topics in the field of Psychiatry. Directors, Vice Presidents, Psychiatrist, Neuropsychiatrist, Psychologist, Brand Manufacturers, Professors, Lecturers and Students from Academia in the study of Psychiatry. In 2018, the United States spent approximately 186.3billion U.S. dollars on Psychiatry services. The global market for Psychiatric drugs was worth $80.5 billion in 2010 and that value is worth to be $88.3 billion in 2015. The global Behavioral health software market in 2014 is $0.75 billion and is expected to reach $1.5 billion by 2019. North America has the biggest market for Psychiatric software, preceded by Europe. According to BBC research the global market for drugs treating Psychological syndromes was valued as $70.1 billion in 2012 and is estimated to have declined slightly to nearly $69 billion in 2013 and by 2018 it aims the market growth approximately to $77.1 billion.